Howdy! Some of you may or may not know me, I've been around the fandom for a long time, since seeing it way back in the 90's on Cartoon Network. I was a member on another Swat Kat forum for many a year, before coming here, since it looks like that other place has shut down and not coming back sadly. 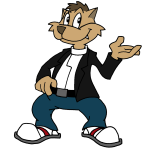 Chance/T-Bone is my favorite character from the show, and I like to do Swat Kat RPs, as well as write the occasional fan fiction, or put out a piece of fan art. Nice seeing you again fellow Texan! Hope you like it here. Cody Furlong wrote: Howdy! Some of you may or may not know me, I've been around the fandom for a long time, since seeing it way back in the 90's on Cartoon Network. I was a member on another Swat Kat forum for many a year, before coming here, since it looks like that other place has shut down and not coming back sadly. 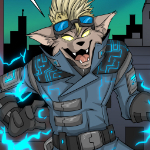 Chance/T-Bone is my favorite character from the show, and I like to do Swat Kat RPs, as well as write the occasional fan fiction, or put out a piece of fan art. Hiya Cody and welcome to this website! It's great to see you here; I remember seeing your name pop up on the other SK website every now and then. Hope you enjoy your stay and looking forward to hearing more from you! Nice to meet you again, Cody. Welcome to Megakat City! Enjoy the forum!